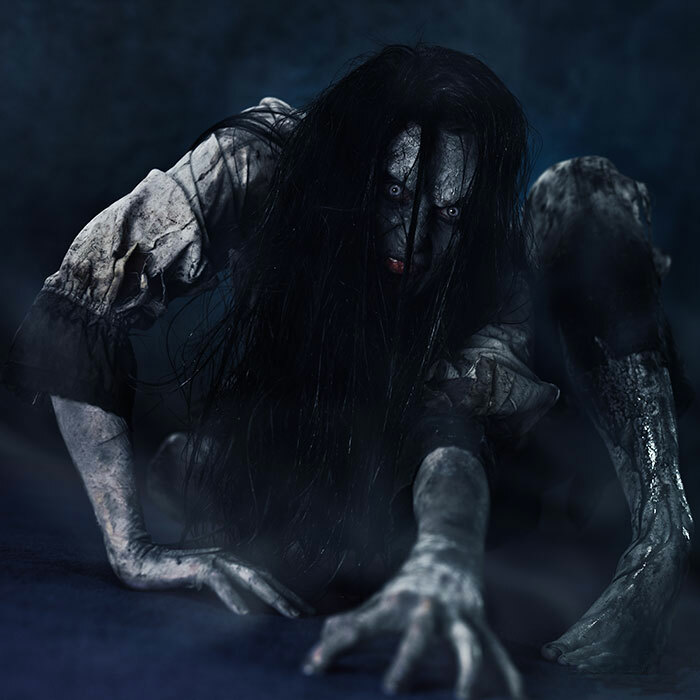 Sadako Yamamura is the vengeful ghost from the Japanese RING novels. 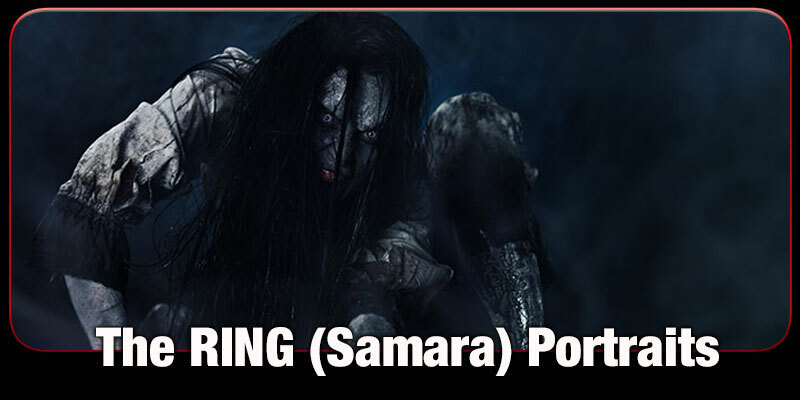 We know her best as Samara, and she's absolutely terrifying! 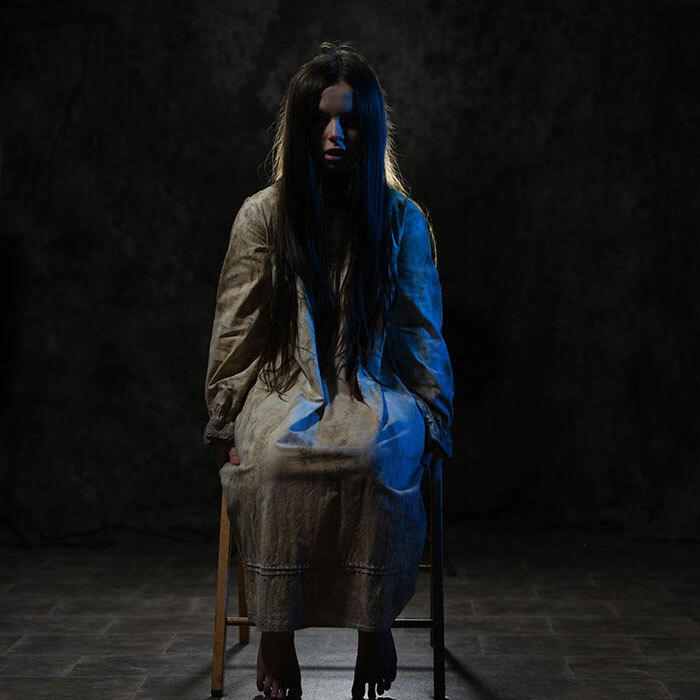 • In this dramatic photoshoot, you will be photographed as Samara in a range of unusual poses. We'll attempt to capture you with contorted limbs, crawling on the floor and even climbing from a TV set. 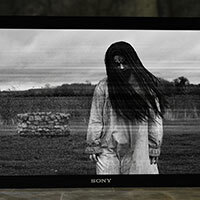 Using special Photoshop techniques, you'll appear on a TV in an old grainy black and white image, exactly like the movie. 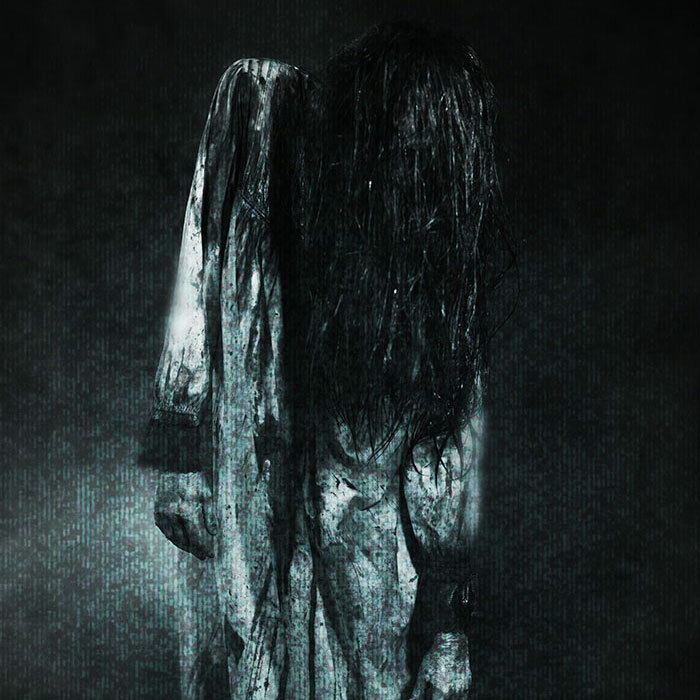 The creepiest image is Samara just standing there with all her hair hiding her face. As this is a portrait set, we will also shoot a version of this in which your face can be seen. With our incredible make-up, you'll be a vision of absolute terror as you pose and contort your body. • A suitable white dress or long night dress. A Victorian nightgown is often the easiest thing to get for a fairly cheap price on Ebay. You will also need a long black wig which can be purchased pretty cheaply on Ebay. • Horrify Me will supply all the make-up and fake blood, so you will not need to bring any of this. • Age 10 and over only. All children under 16 must be accompanied by a parent or responsible adult and a consent form must be completed.